Our medical records are vitally important for a number of reasons. They obviously are the method by which our current doctors follow our health and our health care. They're also important to provide background if you need to see a specialist and to bring new doctors up-to-speed. Our medical records are the records of the people with whom we literally entrust our lives. Let's explore some of the issues regarding medical records. May I see my chart at my doctor's office? Do I have a right to and how do I obtain a copy of my records from my doctor? My doctor says he can only give a copy of my records to another doctor, not directly to me. Is this true? What do I do if I find an error in my medical records? What do I do if I disagree with something my doctor said about me in my records? There are answers to these questions. It may seem strange, but the answers lie in the Health Insurance Portability and Accountability Act of 1996 (HIPAA). HIPAA applies not only to health insurance but privacy and medical records issues as well. So, let's answer those questions. 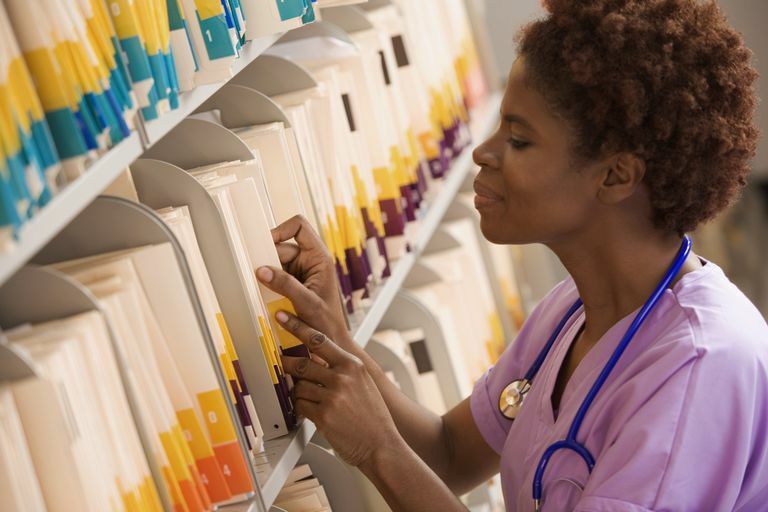 HIPAA gives you the right to see your medical records in your doctors' offices. HIPAA not only allows your doctor to give a copy of your medical records directly to you, it requires it. In most cases, the copy must be provided to you within 30 days. That time frame can be extended another 30 days, but it's required that you be given a reason for the delay. You may not be able to get all of your information in a few special cases. For example, if your doctor decides something in your file might endanger you or someone else, the doctor may not have to give this information to you. "The Privacy Rule permits the covered entity to impose reasonable, cost-based fees. The fee may include only the cost of copying (including supplies and labor) and postage if the patient requests that the copy is mailed. If the patient has agreed to receive a summary or explanation of his or her protected health information, the covered entity may also charge a fee for preparation of the summary or explanation. The fee may not include costs associated with searching for and retrieving the requested information. See 45 CFR 164.524." If you find an error in your medical records, you can request that it be corrected or add information to your file if it is incomplete. For example, if you and your doctor agree that there's an error such as what medication was prescribed, he must change it. Even if your doctor doesn't agree that there's an error, you have the right to have your disagreement noted in your records. In most cases, the file should be changed within 60 days, but it can take an additional 30 days if you're given a reason. HIPAA, the same act that regulates how our health information is handled to protect our privacy, also gives us the right to see and obtain a copy of our records and to dispute anything we feel is erroneous or has been omitted. If you have difficulty with either of these issues, simply asking the office staff personnel involved to review HIPAA regulations will usually be enough to resolve the situation. This is, however, one of those areas where it's sometimes best to "choose your battles" wisely. There may be times when demanding a copy of your records or insisting that you disagree with something in your records isn't worth the time or stress involved. Doctors will usually send a copy of your records to a new doctor at no charge, as a professional courtesy. This could be easier and far less stressful. If an error or omission in your records is minor, it might not be worth pursuing and risking a problem in the relationship with your doctor and his or her staff. These are considerations, but only you can make the final decision. HIPAA also regulates what medical information may be released to whom and for what purposes. Information is listed at the U.S. Department of Health and Human Services Office for Civil Rights HIPAA website. U.S. Department of Health and Human Services Office for Civil Rights. HIPAA Website. How Much Does It Cost to Get Copies of Your Medical Records? Why Do I Need an Appointment to Get My Medical Test Results?